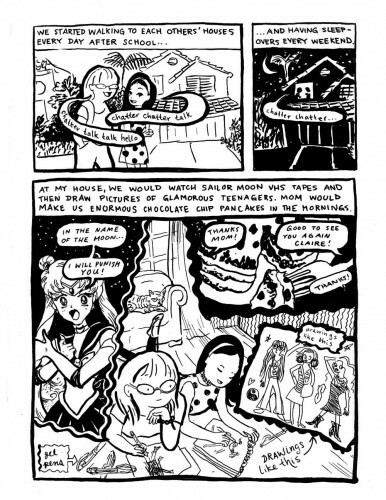 The Prism Spotlights continue with Elizabeth Beier — Prism Comics’ 2016 Queer Press Grant co-recipient (along with Catherine Esguerra)! Mini interview by Prism Grant Chair Jon Macy. JON MACY: First of all please let me congratulate you on receiving the Queer Press Grant. OK, starting with big tough question number one. 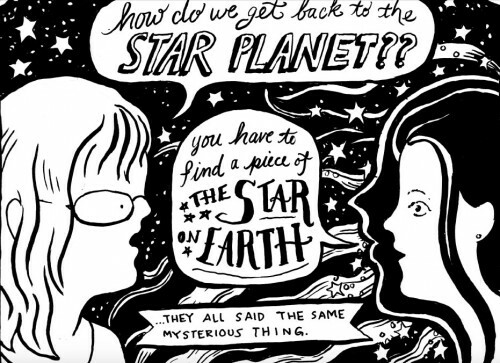 Your ongoing graphic memoir series Bi-Sexual Trials and Errors has been compared to Ellen Forney and Ariel Schrag’s well established arena of auto bio comics, where do you think you will take your stories to break new ground? 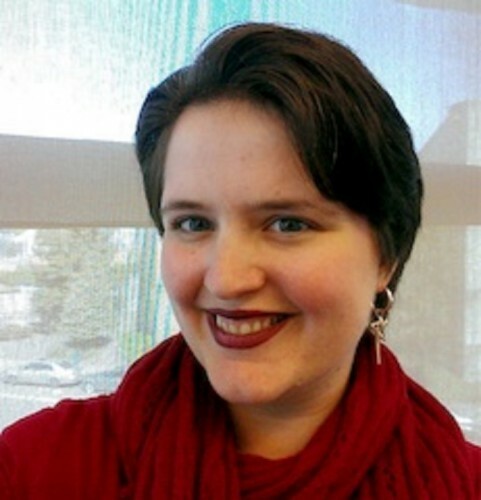 ELIZABETH BEIER: Thank you very much! I am excited to receive the Queer Press Grant, and to be compared to Ellen Forney and Ariel Schrag who I admire greatly. I can see how it might seem that “auto bio bisexual comic” is a pretty specific and small niche — but, I would argue it doesn’t have to be. We live in an exciting time where there is growing attention to and interest in both “comics” as a literary medium and “bisexual” or “queer” as an orientation, so it makes sense that many creators will explore here. The special sauce of my book-in-progress is the juxtaposition of stories about my current dating life with stories from formative childhood experiences. I won’t be explicitly drawing a red line from one event to the other because I want the readers to find the patterns, just like I am finding the patterns as I draw and write. For example, the two stories I am working on now are almost two decades apart, but they overlap. One is about being a lonely and ostracized first grader who winds up making friends with a physically imposing female school security guard who the other kids were scared of. The other is about me, last year, asking out an older woman at a Berkeley restaurant based on an instant impression of that she seemed dominant and aggressive (and the adventure we wound up having.) It didn’t occur to me until I started working on both stories that these women were similar and made me feel both excited and secure of in the same way. My stories also start earlier in childhood than readers might expect, because our sexualities develop much earlier than our first kisses. Our romantic identities, quirks, fears and desires don’t come out of nowhere — and it’s both fun and empowering to reflect on the stories that shaped us. I hope my readers will look for patterns in my stories and then think and talk to their friends about their own triggers and memories. I will consider my book a success and a standout if readers not only understand my life better, but become curious to understand their lives better. JON: Is there anything off limits in a memoir? I mean are there things too personal to reveal, and what reactions do you get from readers? People have told me they like the vulnerability and tenderness of my sad work. Knowing that they won’t balk at that material makes me feel that I can share anything. JON: OK, last question. How do you approach drawing and writing about other people. Do you have rules for revealing, or hiding, their identities? Has anyone every asked you to not write about them? what advice would you give to other auto-bio comics creators? ELIZABETH: I tend to give other people I write about in my comics way more benefit of the doubt than I do myself. In fact, one area I am trying to improve in is giving other characters more depth and flaws. Several people know they have been in my comics and noone has complained yet. In fact, a woman who I wrote slightly negatively about who I never thought I would see again reached out to me after she bought the comic at a store. To my surprise and relief, she wasn’t mad, and we are now friendly. Across the board, I change other people’s name, appearance, and distinguishing features and I think that’s a good practice. I also work on making each characters voice their own, different than mine — did they use long or short sentences? Were their faces and posture wildly expressive or more stoic? Were they more sarcastic or sincere? And even though these people are becoming a supporting cast in my stories, I aim to give them their own agency and stories of their own, so they seem like people instead of props. I guess those concepts would be my advice. JON: Where can we find your work? ELIZABETH: You can find samples of my work, my store, my blog and press at www.elizabethdrewyou.com. You can email me at beier.elizabeth@gmail.com or tweet at me at @egbeier. You can also find my work at Bay Area comic stores. I also do live storytelling (just spoken word) at Bay Area venues such as The Moth, The Shout, Oakland StorySLAM and Bawdy Storytelling. Feel free to reach out with questions, I would love to connect!